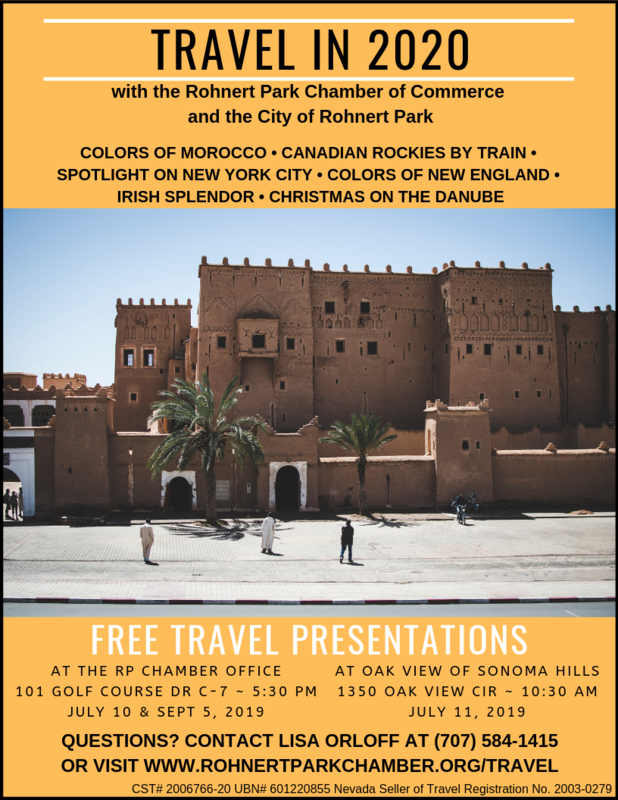 The Rohnert Park Chamber of Commerce partners with Collette Travel along with the City of Rohnert Park to provide spectacular travel opportunities for residents and members of our community. Interested in one of our upcoming trips? Contact us here. Click on a trip for more information! Attend one of our free travel presentations on July 10 & 11 and September 5 to learn about upcoming trips!